Flyers are great way to promote and get the word out about your picture day - and your photos! Flyers include all the useful details that will help guide your potential customers to your gallery, where they can find and purchase their photos with ease. 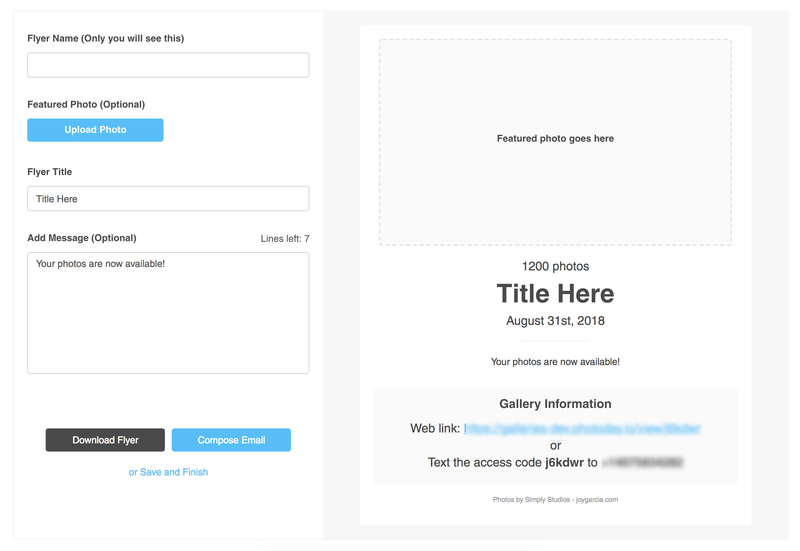 In order to create a flyer, simply look for the "Promote Gallery" button within your gallery. Once there, you'll be able to choose a flyer template. There are four you can choose from, depending on how you'd like to promote your gallery. 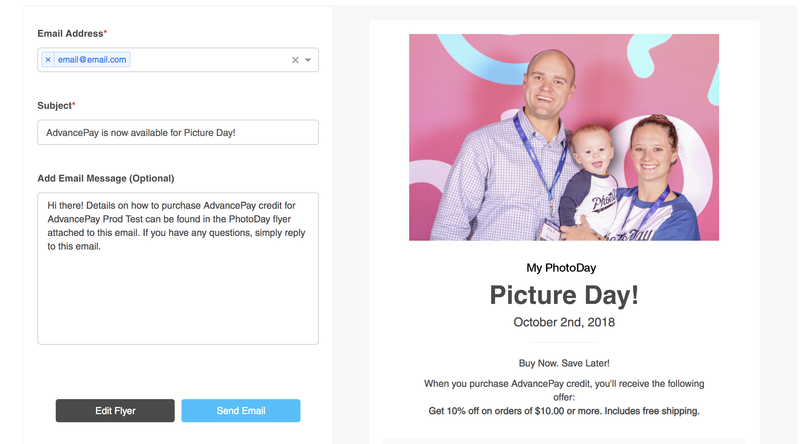 If you've set your gallery status to AdvancePay, you can choose the AdvancePay template, which is set up to let your customers know how to purchase credit to go toward their photo purchases. If you've set up an offer to further incentivize your customers to purchase AdvancePay credit, it will automatically be added to your flyer! 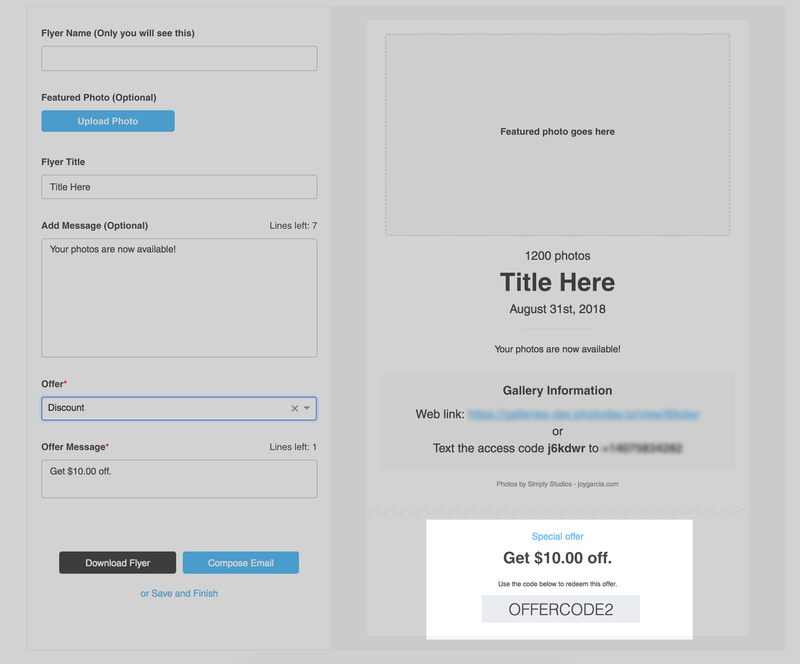 If you choose the Gallery Template, your flyer will include links to your gallery, and to let your customers know what access code to text to our PhotoDay short code of 907-38. 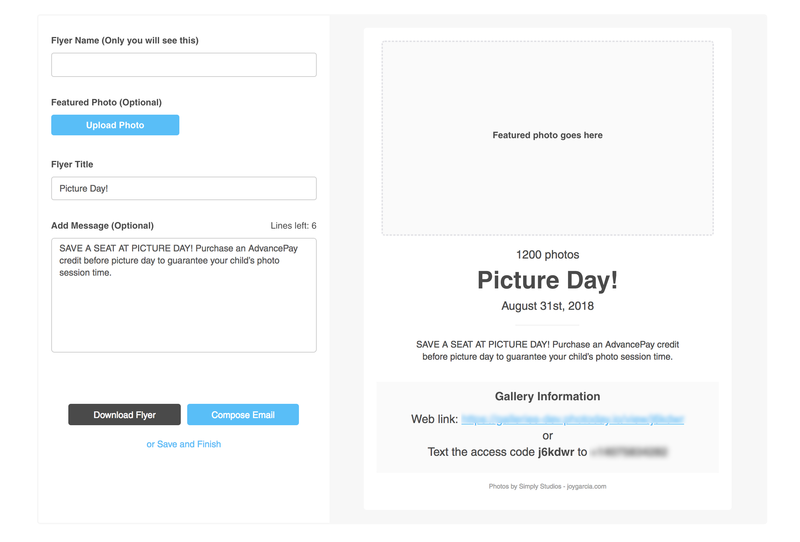 If you've included an offer to help promote your gallery, you can use this template which allows you to choose which offer with which you'd like to promote your picture day gallery. Just pick the offer you'd like, and it'll automatically be added to your flyer. 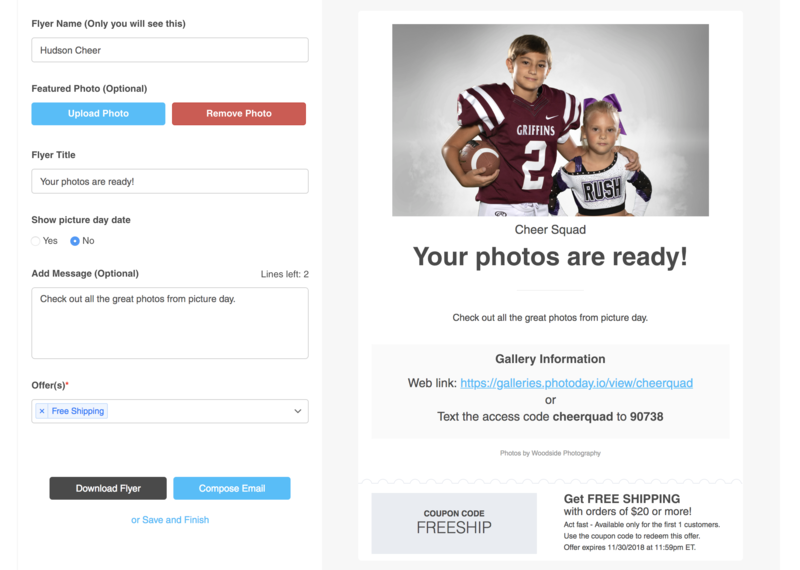 Using our Post Picture Day Flyer template can serve as a gentle reminder to organizations and parents after picture day has passed that their photos are available to purchase. This can help provide a few extra sales after the initial rush! Just like the Gallery Offer Template, you can attach up to three offers to give your customers a little extra incentive to order. Once you're done composing your flyer, you can save and download a copy as a PDF to distribute yourself, or you can automatically email it to whomever you wish by selecting the "Send Email" button, and filling out the recipient and subject lines, as well as any additional information you'd like to provide along with your flyer in the message box!